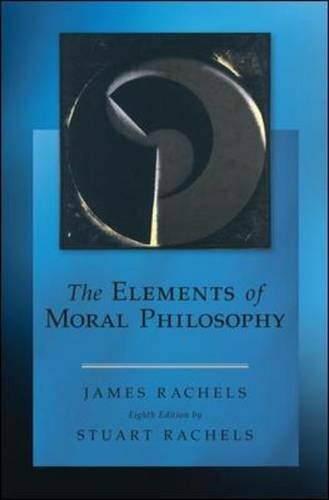 The Elements of Moral Philosophy by James Rachels and Stuart Rachels is a best-selling text for undergraduate courses in ethics. Thirteen thought-provoking chapters introduce readers to major moral concepts and theories in philosophy through clear, understandable explanations and compelling discussions. Rachels wrote “Active and Passive Euthanasia,” arguing that the distinction so important in the law between killing and letting die has no rational basis. Originally appearing in the New England Journal of Medicine, this essay has been reprinted roughly 300 times and is a staple of undergraduate education. The End of Life (1986) was about the morality of killing and the value of life. Created from Animals (1990) argued that a Darwinian world-view has widespread philosophical implications, including drastic implications for our treatment of nonhuman animals. Can Ethics Provide Answers? (1997) was Rachels’ first collection of papers (others are expected posthumously). 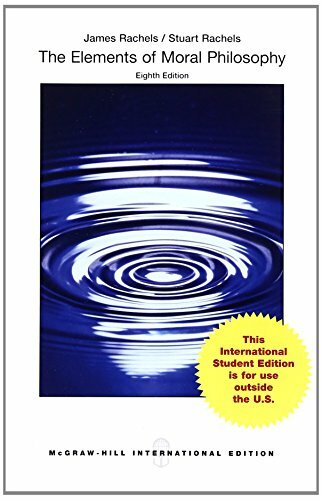 Rachels’ McGraw-Hill textbook, The Elements of Moral Philosophy, is now in its fourth edition and is easily the best-selling book of its kind.Over his career, Rachels wrote 5 books and 85 essays, edited 7 books and gave about 275 professional lectures. His work has been translated into Dutch, Italian, Japanese, and Serbo-Croatian. James Rachels is widely admired as a stylist, as his prose is remarkably free of jargon and clutter. A major theme in his work is that reason can resolve difficult moral issues. He has given reasons for moral vegetarianism and animal rights, for affirmative action (including quotas), for the humanitarian use of euthanasia, and for the idea that parents owe as much moral consideration to other people’s children as they do to their own.James Rachels died of cancer on September 5th, 2003, in Birmingham, Alabama. STUART RACHELS is Associate Professor of Philosophy at the University of Alabama. He has revisedseveral of James Rachels’ books, including Problems from Philosophy (second edition, 2009) and The Right Thing to Do (fifth edition, 2010), which is the companion anthology to this book. Stuart won the United States Chess Championship in 1989, at the age of 20, and he is a Bronze Life Master at bridge. His website is www.jamesrachels.org/stuart.